Summery and chic, the Flamingo Wind Chime is the perfect addition to your porch as warmer weather begins to roll around. 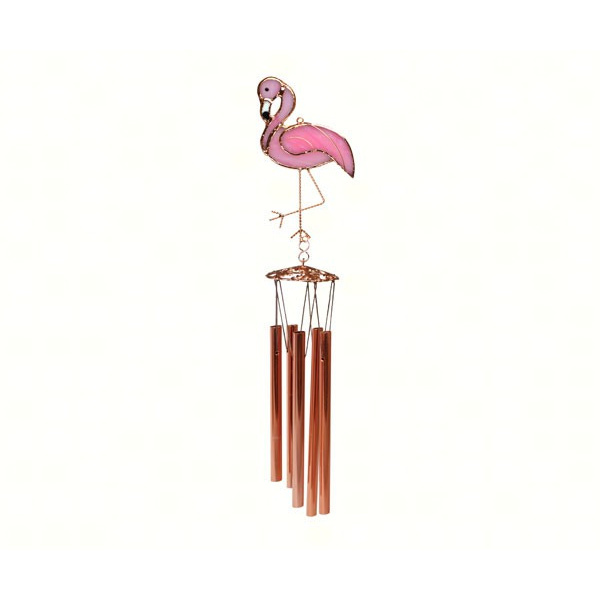 The wind chime has a pink flamingo standing on the top with cinnamon-colored, long, tubular chimes hanging beneath it, ready to create tinkling songs in the wind. Be the first to review “Flamingo Wind Chime” Click here to cancel reply.